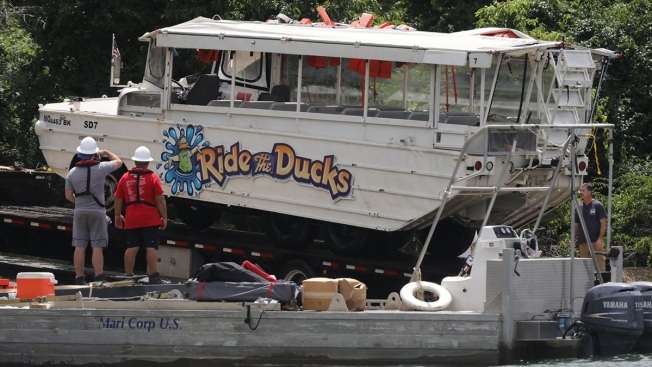 In this July 23, 2018, file photo, the duck boat is hauled out of the water at Table Rock Lake in Branson, Mo. 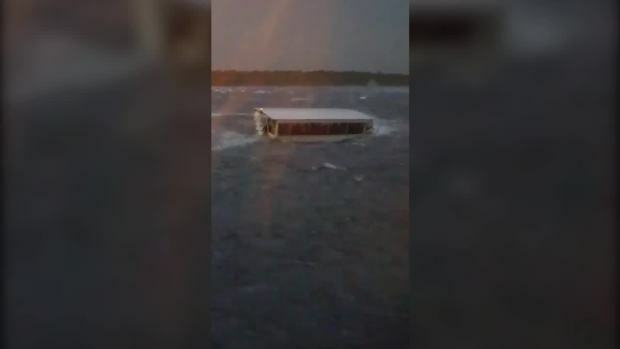 The recovery effort took about five hours to raise the boat from about 80 feet of water. Margaret Stafford and Heather Hollingsworth contributed to this report.